A user story map helps business owners, management and product owners & development teams define work to create delightful user experience. A User Story Map is visual way for product owners marketing, and delivery teams to discover work & shape their backlogs. You can break down work into Epics or Sagas, Capabilities, Features and User stories for example. You will need to be using Portfolios in order to break down work this way. User Story Map can be accessed by Staff Members at the workspace level and by all users at the Portfolio level. Organization leaders, Product owners and delivery teams build the user story map, they are envisioning products from a customer focus point of view. 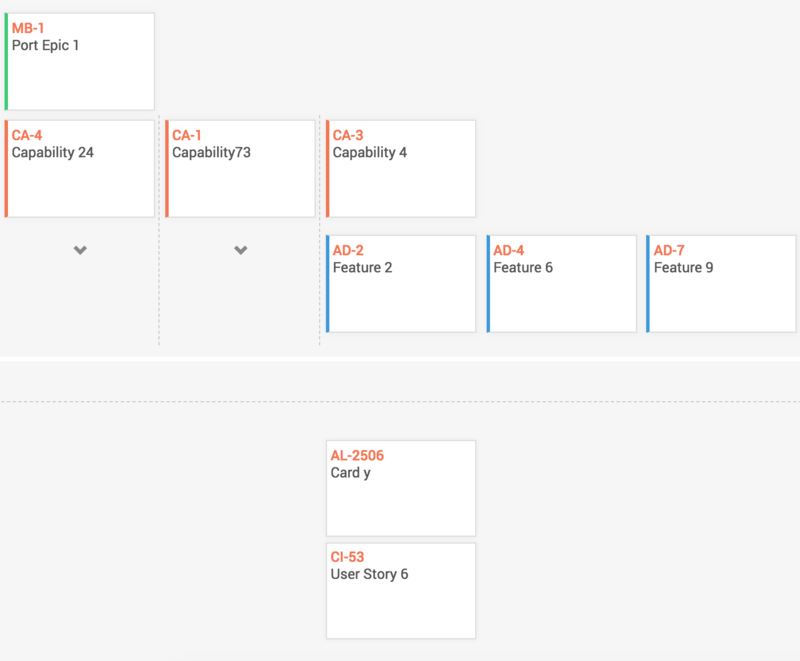 The story map helps them map how users experience products as they get built. This encourages an outside-in approach to planning and orients teams to be service oriented. Anywhere from 45% to 64% of features or user stories have been reported to never being actually used by their customers. A holistic visualization of the work necessary to deliver the right product experience and teams to build the right minimum marketable features or minimum viable products. Dependencies in delivering complex work need to be managed. Visualized this helps you understand complexity in your scope better and prepare you for better decision making. Risks are not a 2 dimensional problem but a 3 dimensional one- For example you may have a business risk or technical one and there is the severity and probability of a risk materializing. Managing risks better helps your organization reduce the chances of poor failure. You can start to see all of the various teams and how their scope fits together. By visualizing of how large items of work break down into smaller ones, and by collaborating on how work items fit together, from a customer’s point of view teams can identify the next well understood marketable feature that will delight their customers. Smaller batches help teams understand what it needs to built better and delivery more quickly. How to User Story Map? To know what you’re you are going to build, you will need to know problems you may be solving, and to know what the problems are you need to know who are facing these problems. Product Marketing, Business, Owners, Product Owners are typically representatives of the real target audience- The customers- Different audiences have different problems they will need to solve, If you are fortunate your real customers participating in the identification of what needs to be done and the building and validation of what needs to be done. Starting with identifying the right audience means that you will not be building things that no one uses. The ‘Who’ includes the people who are going to be doing the work. Set up your portfolios and ensure the right team members have access to to the respective workspaces if you’ve not already done so. 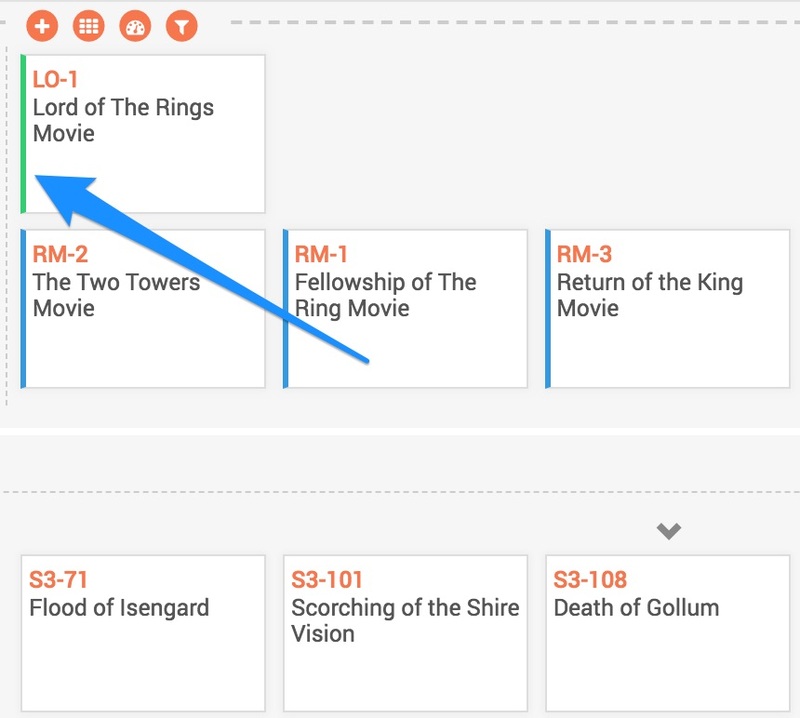 Make sure the right users have the right permissions to access the Story Map. In Story Map the usual authorization rules apply. You can only access the parts of the Story Map you have permissions for. Staff users have access to everything. See the Members Page to ensure the right permissions. Understand the problems you are trying to solve. Categorize them into Epics or hIgh level solution areas. These are seen at the top of the screen with a green stripe on the left hand side. Solution design involves design the series of steps the users who interact with the product or services may go through to realize benefits sought. These value adding steps form the top level epic of a user story map. For example, users of ScrumDo Story Map going through steps described in this very article. These epics will will then break down into smaller pieces known as features or user stories. Epics may be themed by tagging or labeling that perhaps cater to a certain market or deployment environment. 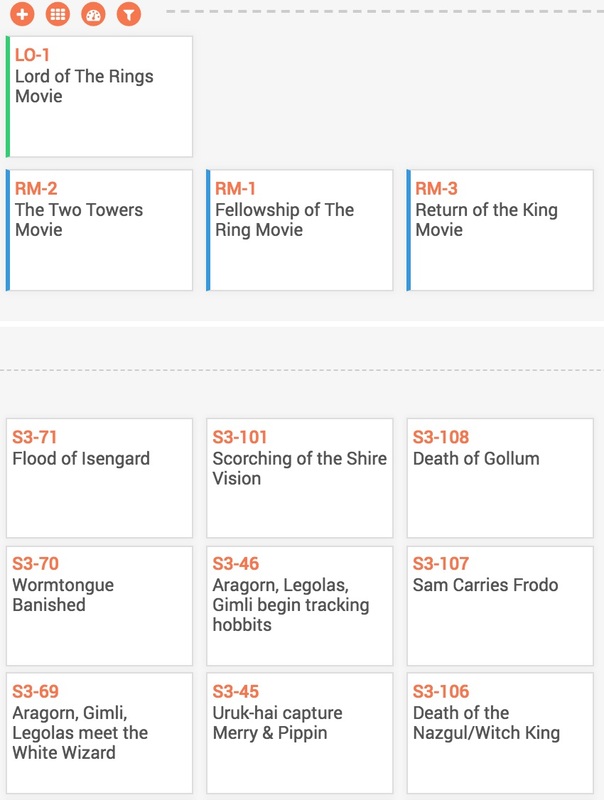 Organize the cards that are not mapped in the unmapped section by dragging them into the Story Map. The story map helps you with the ability to identify upfront the potential issues that may slow them down later, such as risks and blockers, or missing information and capabilities. Identifying risks is an ongoing process and the user story map is a good place to start identify risks before development work begins. The earlier you can identify the better you can you can manage and mitigate them. Now that you understand the big picture of how the scope all fits together, you can turn to turning stories into commited work that can be executed on. Each team and their customers, managers can then make your way to your respective workspaces and using the Downstream planning tool, Planning Poker (size it), Sprint planning tool (learn and adapt cycles) teams can select, sequence, and schedule work to deliver the most benefit in the least time. Teams may work in Scrum, Kanban or Scrumban style independently or as part of a portfolio. Map out your team’s next journey with ScrumDo - where better work happens.